Video editing is a skill that can prove to be very useful if you love capturing the important moments of your life. You will be able to manipulate video clips to form a slideshow or a movie that you like. Application companies are coming up with various video editing apps that will make your work much easier and less time-consuming. You can download these apps on your smartphone and start working right away. If you are looking for the best free video editing app for Android, then you have come to the right place. We have prepared a list of the 10 most popular Android video editors that will allow you to create impressive videos. 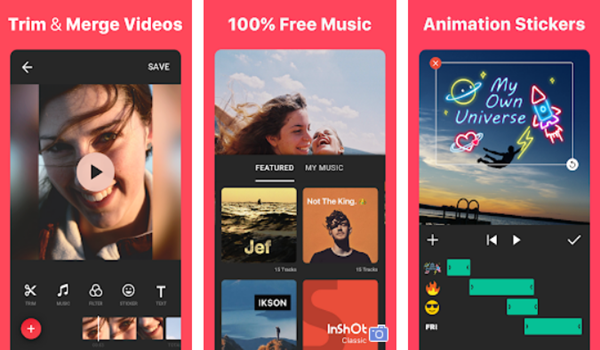 Considered to be one of the best movie makers for beginners, the app will let you incorporate music and edit your videos for social media platforms like YouTube, Instagram, Facebook and more. You will be able to trim, cut and split your videos as you please. The video merger is easy to use which means you can combine clips without sacrificing quality. Change your video ratio and play around with the background to customize your video. There are a host of filters and effects available. Add music to your videos and control the speed of both the audio and the video. The app allows you to crop, rotate and flip videos. Do you want your videos to look professional and flawless? VivaVideo makes it easy to create them because of the wide variety of features it offers. It is widely acknowledged as the best video editor for Android. The best part is that you can download it for free! There is a range of editing tools which will let you trim and merge video clips. Add texts, filters, music, stickers and pictures to your video. Effects like reverse and blurred background can make your video look special. There are provisions for voice enhancement and video/audio adjustments. There are capture options within the app. Create slide shows and video collages with the simple interface. 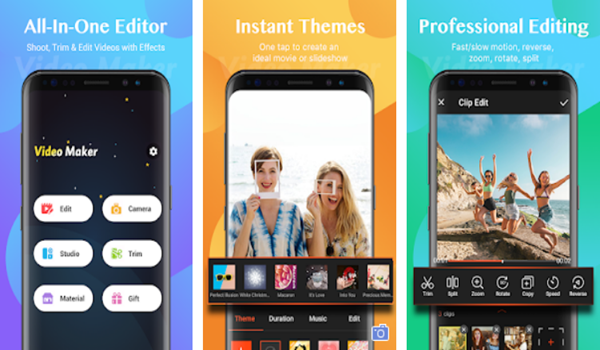 If you do not want to invest a lot of time and effort into making videos but would still like them to look amazing, then you can use this free video editor for Android. The app offers a lot of flexibility to users which is a blessing if you love to experiment. You can add both photos and video clips to make the final product. The app analyses your inputs and detects faces along with making smart cuts. There are 23 video styles to choose from. All of them have different graphics. The font and filters can be altered. You will have complete control when making your videos. UCtsimise your videos by adjusting the speed and changing the format. Add music to your videos without any hassle. If you are looking for an excellent Android video editor, then you cannot go wrong with this powerful app. It is suitable for both beginners and amateurs. 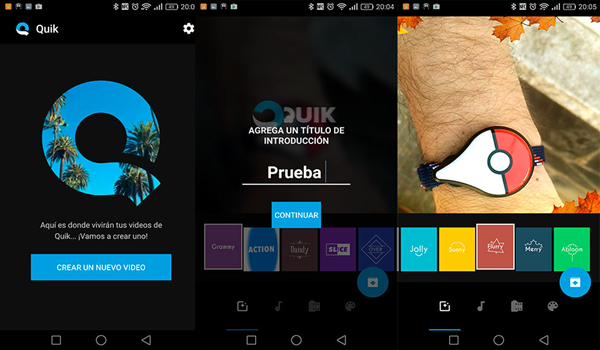 The app offers different effects, overlays and stickers to decorate your video. It allows for frame-by-frame trimming. You will be able to preview all your edits. Control the hue, saturation and brightness of your video. The audio filters and music collection will make your video sound great. There are a number of animation styles and transition effects to experiment with. Control the speed of your audio and video to find the perfect balance. It allows you play with volume control so you can change the modulation as often as you want. A good video editor is never scared to experiment, and that is where Videoshop comes in. 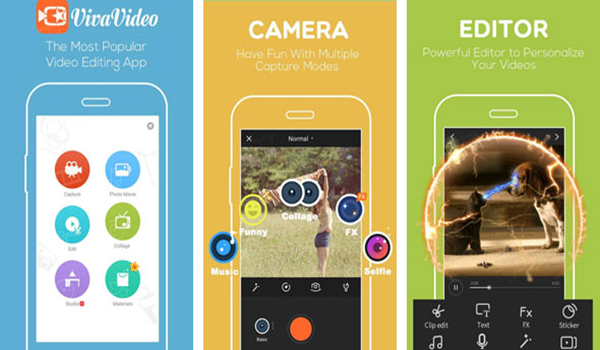 This app has enviable features that will let you create perfect videos. The Trim option will let you remove unwanted clips. You will be able to add music to your video. You can also play around with funny sound effects. The app gives you total control over the playback speed. Adjust the speed easily. You will be able to customize the display by changing the Brightness, Contrast, Hue and other settings. If you have multiple clips, then merge them with the app. You can insert texts and voiceovers into the video to make it more personal. The wide variety of animated titles, transitions and filters will leave you spoilt for choice. You can even create slideshows with pictures. This comprehensive video editor has a simple and easy interface that you can use to churn out video after video. You can upgrade the free version to add even more features if you wish. 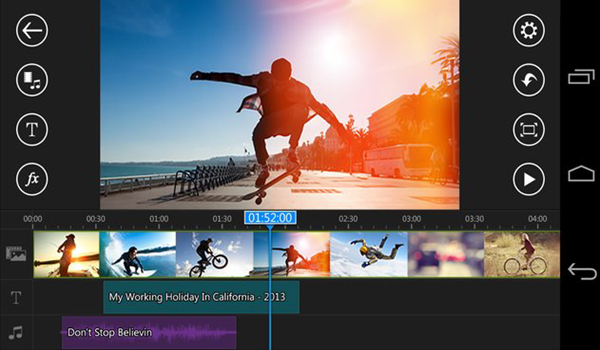 The video editor lets you tailor your videos to perfection by offering a wide range of tools. You can create different effects using the video editor in combination with the audio editor and the photo editor. You can change the background of your video and insert different kinds of music and voiceovers. The app comes with a collage maker. This app lets you create eye-catching videos that match your aesthetic because you never lose control over the process. The video editor comes with a Merger that will let you combine clips into one video. Use the Trimmer, Cutter, Splitter and Slicer to adjust the length of your video. The app allows you to add music to your videos. There are different video effects and filters to experiment with. You will be able to change the background of your video and even rotate it. The app also has conversion and compression options. 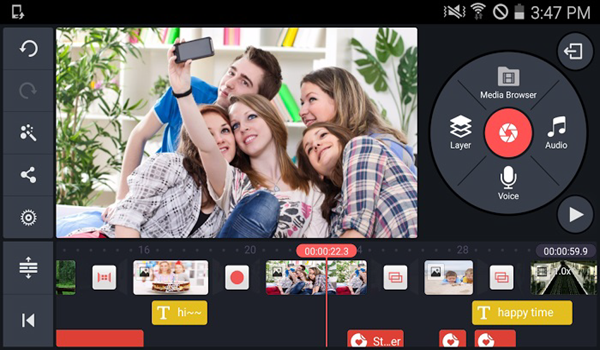 This app is one of the most popular video editors in the world of Android applications. It is practical and does not brand your work with a watermark. The app comes with a great shooting camera that has the facial recognition feature. Auto-tune the pictures in real time. It has more than 50 themes based on which you can create a video instantly. Try out different background music, text styles, fonts, and filters to bring your vision to life. 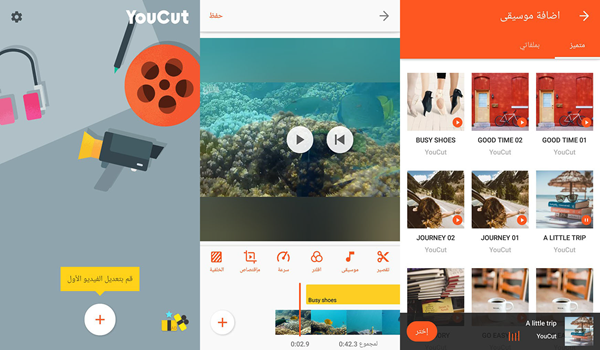 The app will let you edit, merge, reverse, rotate, trim and split your videos easily. Adjust videos to suit a particular social media platform. This professional video editor will let you make customized videos that look flawless on screen. There are special video styles available to you. You can use the app as a slide show maker. 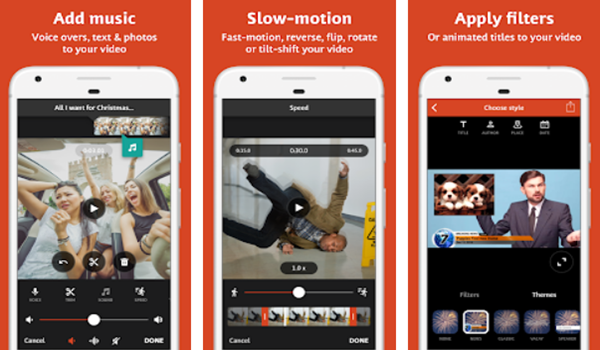 The app is filled with advanced video editing features like crop, trim and merge. You will be able to make entire movies using just this one app. Personalise your videos by adding filters and stickers. You can also add music and text to your video to set it apart. This app combines a large number of features to give you the best possible results. The professional editing arsenal will let you cut, merge, trim, split, and rotate your clips without harming the picture quality. 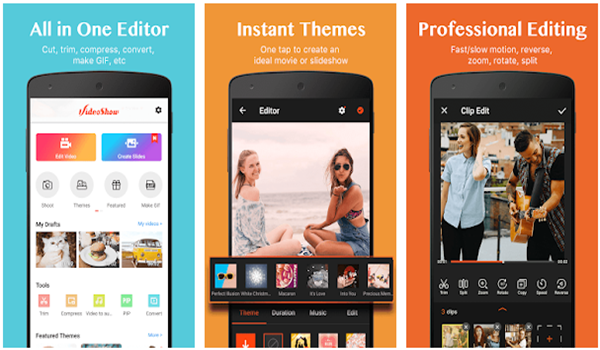 The free themes offered by the app will let you create videos in just a few minutes. You will be able to add music to your video. There are a number of text styles and fonts to choose from when designing the subtitles. The beauty camera and its filters will make everybody look their best. You will be able to adjust the speed of your video and insert filters and stickers accordingly. The 10 most popular video editors are all mentioned above. Which one is best for you? 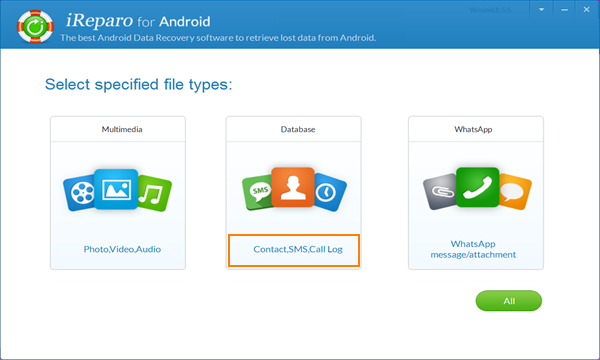 Recommend: iReparo for Android－ A powerful Android data recovery software designed to help users easily recover deleted photos, videos, music, contacts, messages, call logs, WhatsApp and Viber conversations, etc from all kinds of Android phones or tablets. Wonder how it work? Here is the iReparo for Android User Guide.